A few days ago we took a look at the Hudeel, a Handpan-esque steel Udu drum, as part of our imagined Handpan-orchestra. But an orchestra needs more instruments. Sure, we could add in some Bass Halo from Pantheon Steel, on the deep-end. 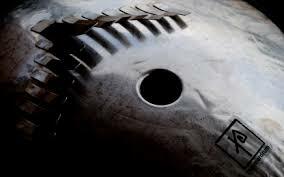 But to reach those particularly twinkly places, we might consider the Tielldrum, a Kalimba-like singing-UFO, with a strange wibbly-wobbly quality to it..